Environment & Social Welfare Society (ESW Society) Dedicated to Environment, Education and Sciences & Technology entire India since bi-Millennium is an ISO 9001:2015 certified organization of the India. Now it’s worldwide known by its impact. ESW Society has been to develop relationship between Environment and Society envisions the promotion of Education and Sciences among the University, College and School students as well as in the society for Environment and Social welfare as well as Human Welfare. Environment & Social Welfare Society (ESWSociety) is the National Society of India. Now it’s worldwide known by its impact. 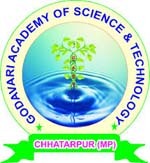 It is devoted to Environment, Education, Art and Science and Technology aspect related directly or indirectly to Environment and Social welfare. ESWSociety, Permanent Account Number is AAAAE4909R. ESW Society Awarded by “National Excellence Award-2015” for outstanding contributions in socioeconomic development by ALMA INDO-UK Intellectual forum ALMA London, United Kingdom. 22 February, 2015. Awarded for greatest contribution in “Manchmahabhoot conservation and Literacy Rally” by Government Madhya Pradesh Jan Abhiyan Parishad, Chhatarpur. 25 January, 2016. Appreciation for “Cashless Digital Tractions Campaign-2016-17” by Human Resource Development, Government of India. Excellence in “Green Festival-2017” by Maharaja Chhatrasal Bundelkhand University, Chhatarpur, MP. Technology Basha Research Corporation, Singapore. MONACHUS, Group of Scientific Research and Ecological Education, Hortensiei Alley, No. 8, 900518, Constanta, Romania. ”Dr. FawazAzki” Geological Museum, Kismin, Syria.